Canyon Lake Vacation Rental #13584 LakeHouseVacations.com Rent Me! Secluded 32 manufactured home! Wildlife everywhere! Close to the River! Treetop Villa! 22 Right on the Comal and across from Schlitterbahn! Winter Texans Special! Beautiful 22 on the Comal River. Sleeps 6! River Safari 22 Inverness Condo! Community pool, direct river access! 4 Bed 4 Bath condo! 2 kitchens! Right on the River! 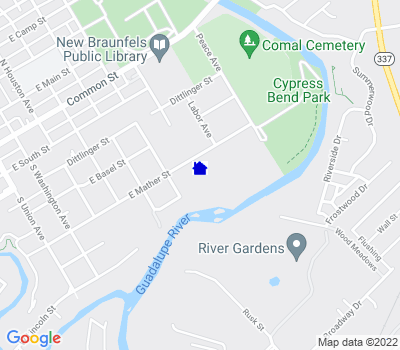 Two gorgeous, adjoining condos at Waterwheel Condominiums that are connected with a pass through door that both overlook the beautiful Guadalupe River near the convergence of the Guadalupe and Comal. This condo offers 4 bedrooms and four bathrooms. All together there are two master suites with King beds, one bedroom with a King size bed, and one bedroom with a Queen bed, and 2 Queen size sofa sleepers. High quality linens are provided for all beds and bathrooms. Fully furnished and equipped with everything you would need for a wonderful vacation! This complex also offers 2 pools, 4 hot tubs, charcoal grills and lush, rolling green space for that resort, get-away feel. Rockin' R River Rides will pick up right next door and can take guests to float the Comal or the Guadalupe River between Memorial Day to Labor Day. For any reservation outside of those dates, the shop is only .7 miles away. You can float down the Guadalupe River and get out right by this condo. Walking distance to the famed Schlitterbahn Water Park and less than 1 mile from downtown. Less than 3 miles to historic downtown Gruene. Each condo is provided with two parking passes, so with this rental there are 2 numbered spots and 2 general parking spots. These condos are on the third floor and do have an elevator. Guests must be 25 years of age or older to make a reservation and must be staying at the property. No pets allowed. You will receive 4 parking passes and 12 wristbands (max amount allowed). We have 4 couples that meet each year in New Braunfels(friends since college at SWT, 40 years). Great central location, amenities and restaurants. Nice to have 2 kitchens and 4 bathrooms. New Braunfels Escapes was excellent to work with. " We stayed in July and it was nice. The condo is very large and we loved having two kitchens. It’s on the top floor so that was a little tough. There is an older lady who lives at the property below who called to report that we were being too loud at 2 pm. We had a group of 10 so it was pretty inconvenient to have to be quiet in the middle of the day. " "Great place to stay on the river! We had an amazing weekend at the “Chateau on the River”! This is the perfect spot for four couples to get together! We all had privacy but also plenty of room to be together. The pool on site is very nice and having river access was great as well. Perfect location too...a short drive to the store or a short Uber/Lyft ride into town for dinner and drinks. We also used the company they suggested for our river trip and loved the convenience of them coming to pick us up! All in all, a great experience! We would definitely stay here again!" The accommodations were prefect for our group of 12. The water was pretty low in the river, so the swimming/river by the rental was not very usable. Location was good. " Overall it was a good experience with a couple of exceptions. The sofa bed in D301 needs to be fixed or replaced. The swimming pool out by the river never looked clean enough for us to get in." This condo was great. Located in a central location near town. One complaint was the guests at the pool. Every time we took the kids down to the pool, it was torally occupied by adults, listening to music and drinking adult beverages. They did not move and give a space for the kids to play. At one time they were all sitting in the shallow end and would not move to let the toddlers play. Also the condos were great but the condition of the cookware was poor. They need to invest in some new pots and pans. " We enjoyed our stay but were a bit disappointed in the quality of furniture in one of the units but the management explained that the owner had recently updated the AC unit so funds were low - The AC worked great!!! " The staff at New Braunfels Escapes couldn't be more pleasant to work with. Our check in went smoothly and the vacation was off to a great start... we realized into the first evening that the AC in one of the units was bot cooling so we called and they sent a repair man within the hour. The unit never really worked that well... but it cooled at night so that was our biggest concern as we were out and about for most of the day anyway. The location is very convenient and the apartments were both nice. We would definitely book again." This place was beautiful! pulling up at night, it looks like a plain apartment building, once we got in our joining rooms, amazing!! We had plans to keep it simple and order pizza after floating all day, but once we saw the grounds, picnic tables, pool and hot tubs.....our plans changed to grilling out and playing football in the amazing grass. Waking up each morning and walking down to the river to sip coffee and watch the deer roaming....such an amazing place and experience. We will definitely be back to this location!!" Oct 03, 2017 - Jessica F.
We had a wonderful stay! Everything was great! The place was super clean and had everything we needed. " "Perfect for our group of 12! Everyone loved the condo (I came out smelling like a rose!). The beds arrangements were perfect, the kitchen had everything we needed, and the grounds were great. The walk down to the river can be a bit tricky, since it gets steep, but you're right. on. the. river. Awesome!" All in all, it was ok. The condo was very nice and seemed to accommodate all attendees. What they don't tell you on the website is that there are a lot of residents that live in these condos full time. These people seem to have a lot of rapport with the onsite police, and will complain about your party if you're too loud. This was our second time staying at these condos and apparently a lot of rules have changed (i.e the pool now closes at 10pm, instead of 2am). The best thing this place has going for them is that the tube outfitters are right outside the complex, so no one has to drive anywhere. All of this to stay, I appreciate my stay there, but will probably look for something else next year." The Management was great! I enjoyed my stay, Had a great weeekend! Couple of issues we had, in one of our condos, the AC froze up. But management had someone come fix right away and brought us some fans to cool of the unit. The fridge took FOREVER to cool, really didn't even cool anything down. We did have an issue with one the security officers, He asked us to do something & we did. He then started to argue with us saying that we were not obeying him. He was a very unprofessional officer. We did speak with him supervisor. The permanent resident were very friendly. " This unit was awesome and was perfect for a large family celebration for our daughter's graduation from Texas State. It's actually two condos connected which provided two dining/kitchen/living areas. Very clean and well stocked. Very nice property with river access on the premises. Even the security guards were extremely pleasant! Definitely would recommend! " The description and photos were accurate, the property was clean and well maintained. New Braunfels Escapes gave great customer service and helped us with special parking we needed for an antique car. We had plenty of space and plenty of comfortable beds. The easy river access was a big plus. Would definitely stay here again. " Had a great time, even though it rained every day."